Yom Kippur, the Jewish Day of Atonement, takes place in the month of Tishrei on the Hebrew calendar, ten days after Rosh HaShanah, the Jewish New Year. Here are free printable Yom Kippur activities for kids. Yom Kippur is part of the Days of Awe. It's the highest of the high holy days. Torah Tots. Jewish families should definitely bookmark Torah Tots as it is loaded with free printable Jewish activities for kids, games, lessons, crafts, recipes, coloring pages, cut and paste, puzzles and online activities for kids. This link takes you to the free printable Yom Kippur activities for kids pages. And don't let the name Torah "tots" throw you. Older kids will be better able to use the site because many of the activities require reading skills. Please be sure to visit all the holiday and holy day activities for kids on Torah Tots. Explore Jewish holidays, traditions, symbols and general knowledge of the Torah. You can find a weekly Parsha activities for kids. The Parsha is a scripture text from the Torah, explained for kids. There is a link to the Midrash Maven (Midrash is a commentary on parts of the Torah). Parsha is similar to a Christian sermon or homily. Chabad has a gajillion free printable Hebrew activities for kids, including games, coloring pages, puzzles and lessons plans for holy days like the Day of Atonement. Help kids explore the Jewish Day of Atonement. These activities are geared for children over seven or eight. A Kids' Heart has fifteen free printable Day of Atonement activities for kids, geared for younger children. There are free printable Yom Kippur coloring pages, word search, fill-in-the-blank and some cut and paste diorama activities. This site is useful for Jewish and non-Jewish people who wish to learn more about the Hebrew faith. Teacher Vision is a subscriber site. You can access some free printable activities for kids without a subscription. This link will take you to a lesson page about Yom Kippur. This activity is geared toward non-Jews, to help them understand the Hebrew faith. Jewish Homeschool Resources has tons offree printable Hebrew holy day activities for kids, including Yom Kippur. First School Resources has more free printable Yom Kippur and Day of Atonement activities for kids. 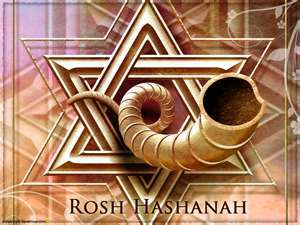 For more information on Judaism, Jewish holidays, the Jewish calendar and all things Hebrew, visitJew FAQ otherwise known as Judaism 101. For more world holiday activities visit Free Printable Holiday and Free Printable Lesson Plans. Gmar Hatima Tova.